Land Rover is a a premium luxury auto brand known for its “above and beyond” philosophy. Through the years, Land Rover vehicles are known for their 4×4 capabilities and ability to cross rugged terrain. Indeed, when it comes to reliable Land Rover car shipping services, we recommend working with a company that mirrors their values and goes above and beyond to ensure you have the best possible experience. 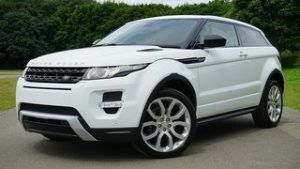 Read on for quick tips regarding shipping your Land Rover, cost and reviews outlining why Land Rover owners and dealerships nationwide choose us. Of course, if you’re ready to move your Land Rover, request a free customized car shipping quote. Or, give us a call at 1 (888) 886-3456 today. Shipping your Land Rover should be a seamless experience. The first step to a positive Land Rover car shipping experience is to do your research online. Avoid selecting a transporter solely based on lowest cost. In fact, with many companies in the auto transport industry, the lowest price can lead to unwanted delays and stress. In reality, the cost to ship a Land Rover depends on factors like the time of year, location, vehicle size and type of shipping. Rather than focusing on cost, we recommend evaluating Land Rover car shipping companies on the greatest likelihood of a safe, on-time pickup and delivery. The best Land Rover auto transporter has a flawless five star reputation among customers. They are a well-established car shipping company, fully licensed and insured. The transporter shares Land Rover’s focus on excellence, integrity, understanding, unity and responsibility. In other words, your car shipping company goes “above and beyond” for you. With over 30 years of trust and reliability, we will make every Land Rover auto transport move easy for you. Just thought I’d drop a wee note to let you know how fantastic you have been along with your fabulous team at Fisher Shipping. Extremely prompt responses, on time pick-up and delivery very fair pricing and all around great customer service. I have been using Fisher Shipping as our agent for vehicle movements for the last three years and they have been consistently great at the things that matter to me. They are responsive, able to price and arrange jobs quickly, and use quality people to carry out the work. I would highly recommend them to anyone who needs quality and consistency when it comes to vehicle movements. Fisher Shipping is by far the most helpful and efficient trucking company I have ever worked with. Nicole and Dave always go above and beyond to assure that my vehicle’s arrive on time and for a good price. Working in the car industry, it is always nice to be able to rely and trust that your cars will arrive safe and sound. And I always appreciate all the hard effort they put into each transport I have set up with them. Enclosed vehicle transport available: Since the MSRP for a new Land Rover is over $85k, you may want to choose covered or enclosed auto transport.